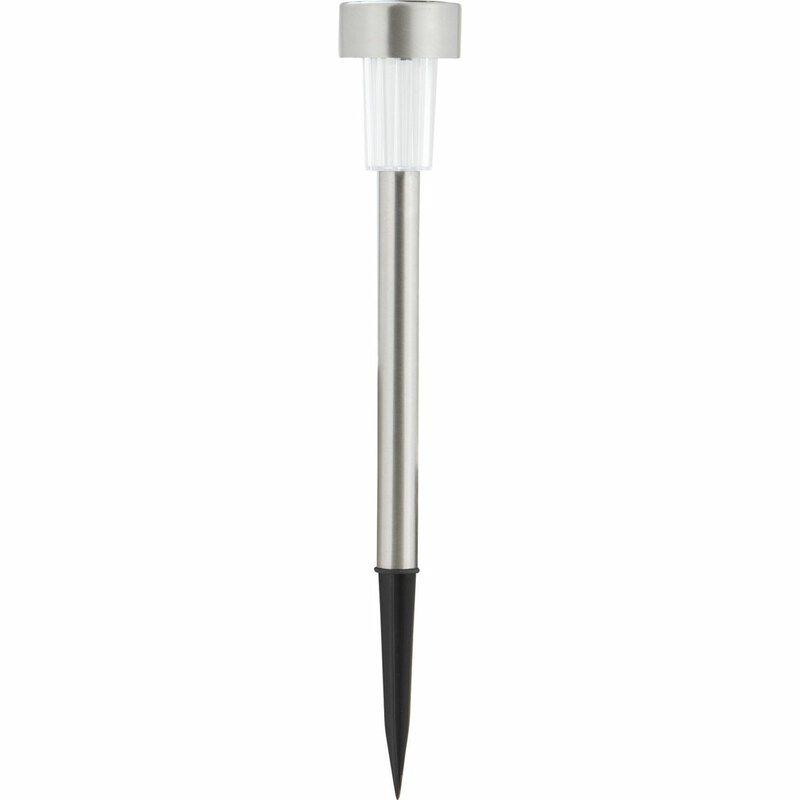 Solar powered mini stake light recharges by sunlight and automatically turns on at night. 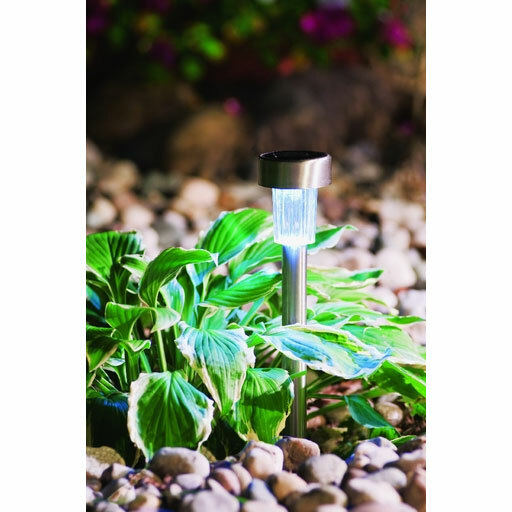 Bright white LED technology, lights up to 10 hours with fully charged batteries. Uses (1) AAA 1.2V NiCd rechargeable battery (Included).